Oakland and Macomb County's finest attorneys - highly rated, well reviewed and nationally recognized. When Daniel Marchese founded The Marchese Law Firm, he knew he wanted to provide people in Metro Detroit and the surrounding areas with exceptional legal representation. Handling cases that involve family law, estate planning, probate, bankruptcy, and general litigation, his goal is to provide people with a more secure future. Through proper strategizing and clear communication, he has had numerous successes in and out of the courtroom. Daniel has been named a Rising Star by Super Lawyers in Estate Planning and Probate from 2015-17. The National Association of Distinguished Counsel has listed Mr. Marchese in the Nation's Top One Percent of attorneys. He holds the highest peer rating possible of AV Preeminent* from Martindale-Hubbell, he has an Avvo "Superb" rating and he was recognized in DBusiness Magazine's Top Lawyers. He has been recognized as a Top Litigator by the American Lawyer, he is one of the Top 10% of Lawyers in America Civil Litigation as awarded by Lawyers of Distinction, he is a Top 10 Under 40 Family Law Attorney in Michigan as awarded by National Academy of Family Law Attorneys, Inc., and he is one of the 10 Best Family Law Attorneys in Michigan as awarded by the American Institute of Family Law Attorneys. Lastly, Daniel is recognized as one of America's Top Laywers by the American Law Society. After receiving a Bachelor of Arts in English from the University of Michigan in 2006, Mr. Marchese received a Master of Public Administration from the same school in 2007. He went on to receive a Juris Doctor in 2011 from the University of Detroit Mercy School of Law. 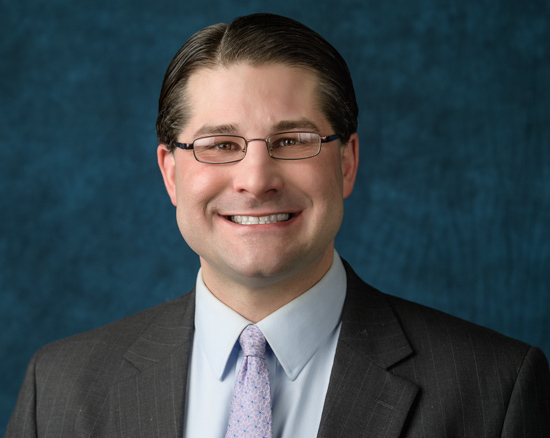 Mr. Marchese is admitted to practice before the U.S. District Court for the Western District of Michigan and the U.S. District Court for the Eastern District of Michigan. * AV, AV Preeminent, Martindale-Hubbell Distinguished and Martindale-Hubbell Notable are certification marks used under license in accordance with the Martindale-Hubbell certification procedures, standards and policies. Martindale-Hubbell is the facilitator of a peer review rating process. Ratings reflect the anonymous opinions of members of the bar and the judiciary. Martindale-Hubbell Peer Review Rating fall into two categories legal ability and general ethical standards. English only, translator services available. Oakland & Macomb County's finest attorneys - highly rated, well reviewed and nationally recognized. The mission of the firm is to treat every client like family, zealously advocate for clients, and provide results that meet and exceed expectations. The firm provides clients with quick feedback on their questions for highly personalized service. Whether the client likes to call, email, or fax, we will be there to meet their needs. This client service model has lead to high client satisfaction ratings and outstanding legal results. Thus, the experience of solving problems while providing a high level of quality service is why we continue to be the best attorneys in our practice areas. Highly recognized and awarded attorneys in this practice area. We practice only Chapter 7 exclusively and are Oakland County's best. We know the law inside and out and make the Chapter 7 process seamless and easy for you.